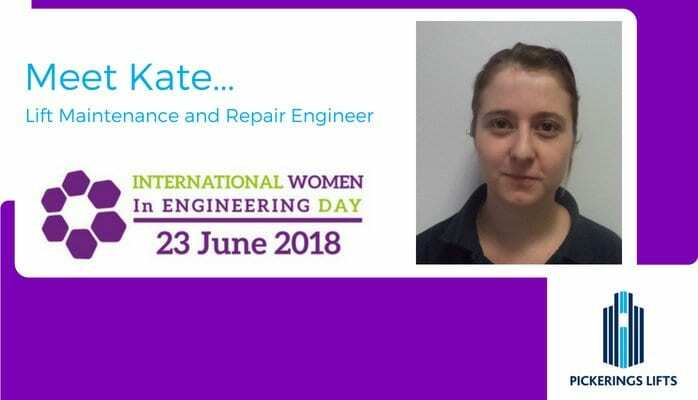 Pickerings Lifts is delighted to be involved in International Women in Engineering Day on the 23rd of June, a global campaign to raise the profile of women in the engineering industry. To celebrate, we sat down with lift maintenance and repair engineer Kate, who joined the Pickerings Lifts team earlier this year. I wasn’t sure what I wanted to be when was at school, but when I went to college I grew really fond of maths. I knew I wanted a career that involved maths, but I also knew that I didn’t want a desk job and wanted a job where I could feel I was helping out and making a difference. That’s when engineering came to mind. How did you decide on becoming a lift engineer? I started to look at apprenticeships as I thought this would be a good way to gain a qualification while I was working and earning. I went along to assessment days and interviews but I was worried that I wouldn’t be offered a placement as I didn’t have any engineering experience. However I found that this wasn’t a problem as most companies wanted people who were hard working and determined that they could train. 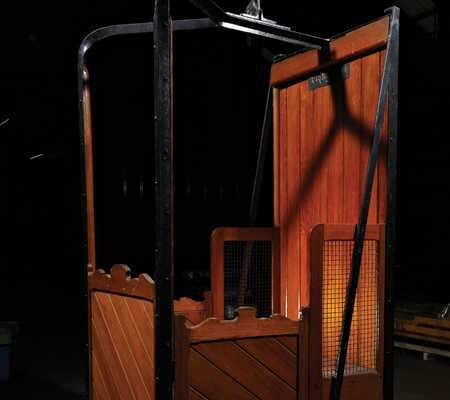 I got offered an apprenticeship in the lift industry, which really appealed to me as it meant travelling and visiting different sites every day. What do you most enjoy about being a lift engineer? 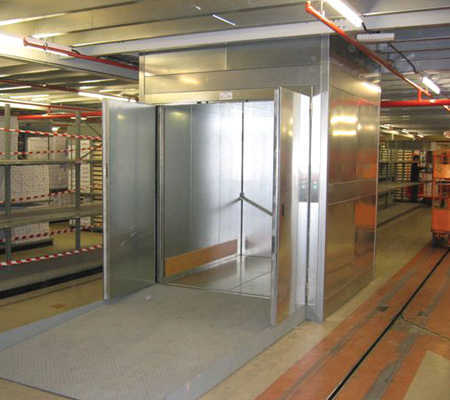 The sense of achievement when I fix a lift and telling the customer that their lift is working again; it does mean a lot to people, especially when they are reliant on their lift for disabled access or moving goods. What is the most challenging thing about being a lift engineer? Sometimes there will be a fault on a lift that you are unable to fix, but you just have to ask someone else for help. Even engineers with years of experience in the industry need a bit of help sometimes. What is a typical day as a lift engineer like? There isn’t a typical day when you’re a lift engineer! 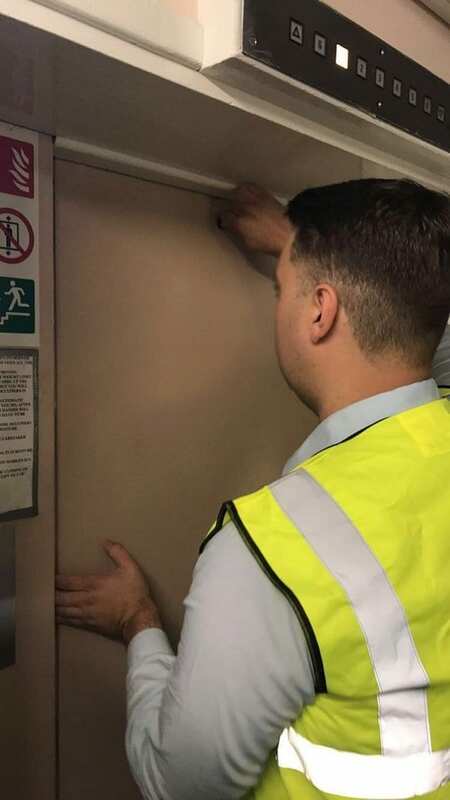 I have a list of lifts that I need to service during the course of the day, but you can get called to a totally different site at any time if there is a breakdown or if someone is trapped in a lift. What would be your advice for young women who want to get into engineering? Just go for it… even if you don’t have the experience you will learn what you need to know from people who have been in the industry for years. All the engineers that I have worked with so far in my career have been very kind and more than happy to share their knowledge. You don’t need to be tall and muscular to be an engineer either, I’m only 5’ 1” with no upper body strength but I can get by using my tools and my training!